One thing all this rain and cool weather has been good for is prolonging the flowering period of spring and early summer plants. Back in March my daffodils seemed to go on for weeks, when in other years a hot spell has sent them over in a matter of days. So it was a nice surprise to find that Goodnestone’s stunning Chinese dogwoods (Cornus kousa) were still at their peak, luxuriating in the dappled shade of the woodland garden. Until I visited this lovely garden a few years back I had never really appreciated these understated small trees. The beautiful simplicity of the the bracts (the flowers are actually the green spheres at the centre) and the tiered branches make this one of the most breathtaking trees around. Although they are deemed small, they are best grown as a specimen tree so that the elegant shape can be appreciated. Cornus like fertile, humus-rich, neutral to acid soil in partial shade so once again no good for me! A pink variety called “Miss Satomi” caught my eye, with flowers the colour of blushing cheeks, but it was no substitute for good old-fashioned white. 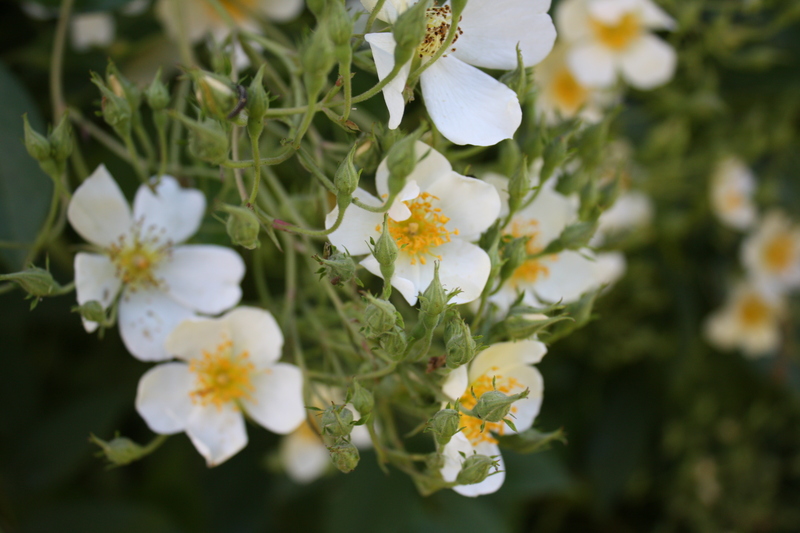 Another plant which was just coming into its own was Rosa filipes “Kiftsgate”. Now this really is a rose that has no place at all in a small garden, but the sight of it rambling 10 metres or more up into a tree and laden with flowers is not to be missed. After all, half the point of visiting other people’s gardens is to admire the things you can’t or won’t grow. 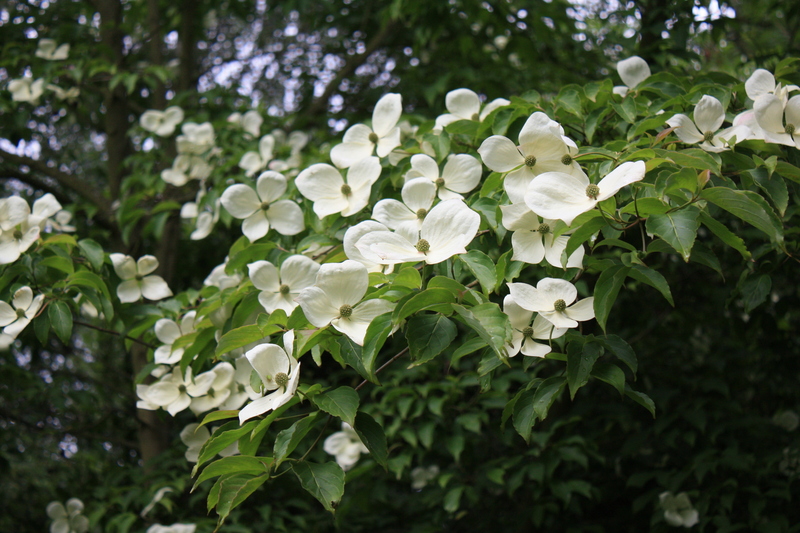 It appreciates a little more sun than Cornus kousa, but is otherwise happy in a deep, moist soil where it can get its roots down. It’s a great rose for covering ugly buildings or growing through a strong tree. And is smells good too! 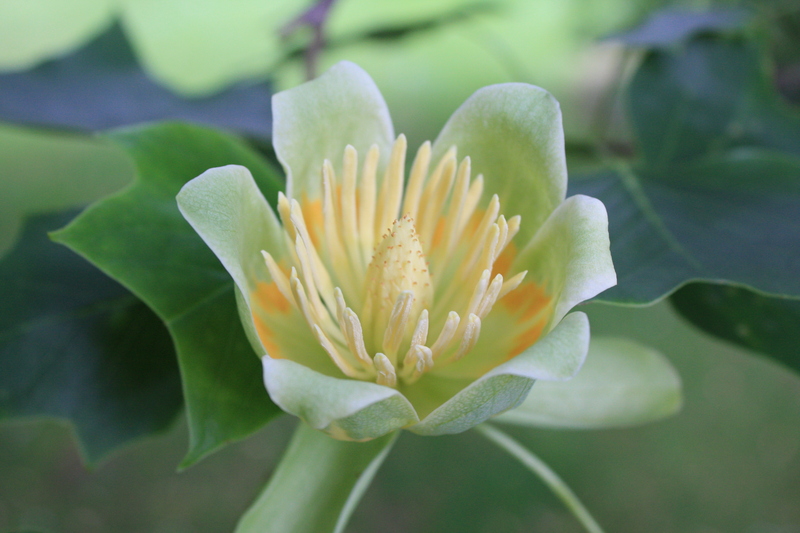 Next, we were recommended to track down the tulip tree by the drive (Liriodendron tulipifera). Hailing from the eastern side of the USA, this can grow to an enormous size – up to 35 metres in the UK and 50 metres when it’s at home in the Appalachian Mountains. The tulip tree obviously has absolutely nothing to do with bulbous tulips and is part of the Magnolia family. It’s the green and yellow splashed, bowl-shaped flowers which lend it its name, and there were a few just low enough down to photograph. Finally, around the main house all the grass banks have been spared the mower and allowed to populate with wild flowers. 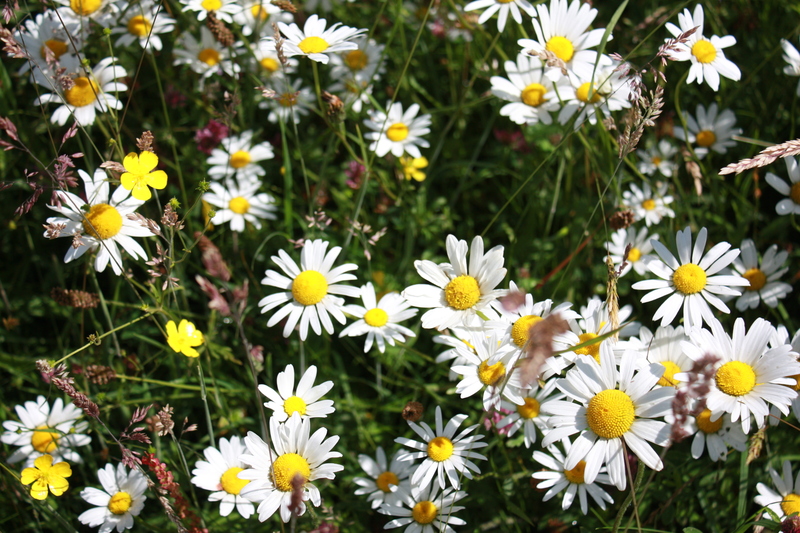 We missed the bee orchids, which we were assured were there somewhere, but instead enjoyed the profusion of ox-eye daisies, buttercups and clover, alive with bees and butterflies.